Some of you will have read this study by Butterwick and colleagues in last month’s CJSM entitled ‘Rodeo Catastrophic Injuries and Registry: Initial Retrospective and Prospective Report’ which highlighted the epidemiology of catastrophic injuries and fatalities over a 20 year period from 1989 to 2009. The study found an incidence rate of catastrophic injury of 19.81 per 100 000 (19/95 892), with an incidence rate of fatality from 4.05 per 100 000 (21/518 286). The most devastating injuries in rodeo and bull riding were found to be due to thoracic compression injuries. This graph, reproduced from the study, shows the distribution of injuries by rodeo event, highlighting that the greatest number of catastrophic injuries had occurred during either bull riding or junior bull riding/steer riding events (38 of 49; 77.5%). 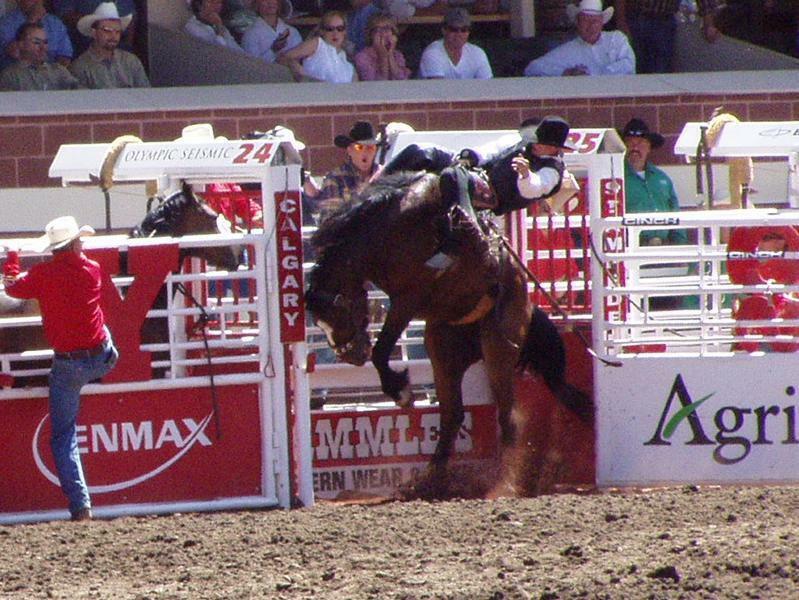 Interestingly, the study concluded that there was no evidence that rodeo vests have any protective effect in preventing some of these catastrophic thoracic injuries, but that helmet use in bull riding and rodeo events did seem to offer some level of protection in preventing catastrophic injuries and fatalities. The study by Butterwick and colleagues was recently presented and discussed on the ESPN website here with comments from Cody Lambert, a retired bull rider who designed the first vest used in professional bull riding some 20 years ago, mentioning that these have changed little in design over this period of time. The website also has a link to a video interview with one of the co-authors of the CJSM article, Dr Tandy Freeman, Medical Director for the Professional Bull Riders Inc and for the Justin Sportsmedicine team. Dr Freeman gives a graphic description of what happens during the evolution of some of these injuries, which is accompanied by some startling film footage of some of these catastrophic events in the making. Those of you involved in the management of rodeo injuries will also be interested to read this retrospective study by Sinclair and Smidt published in CJSM in 2009 which analysed some 10 years’ of injuries in high school rodeo, finding a total of 354 injury incidents from 43,168 competitor exposures (CEs).